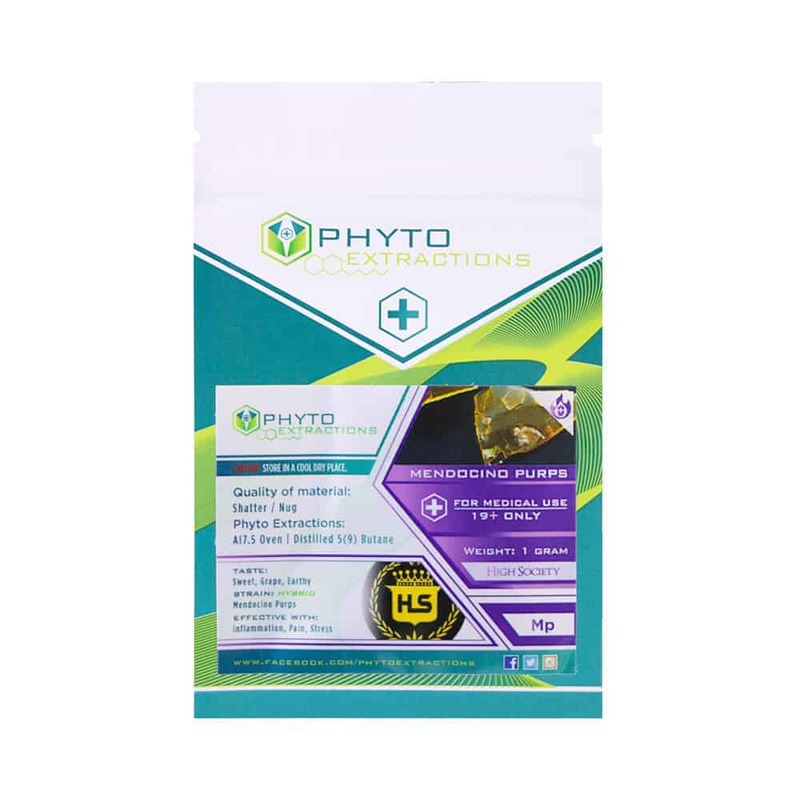 2 reviews for "Phyto – Mendocino Purps – Hybrid Shatter"
My wake and bake fuel of choice! I couldn’t live without phyto. I find phyto to be stickier than other company names. Loobiedoobie review: I just opened medocino purps, and I am very pleased so far! Has a nice transparent gold look to it, easy to break off dabs as it has a hard bendy texture. Burns good in a dabber and tastes great..def tastes purpley! I recommend this shatt as it hits nice off fat lil chunk, feeling mostly head high but def feeling relaxed in my body! And if you like the purple taste in shatt and bud than you’ll like this!